Paris, France (December 12, 2017) – Today, on the two year anniversary of the Paris Agreement, Mission Innovation leaders from around the world stressed the importance of clean energy innovation and highlighted Mission Innovation’s progress at the One Planet Summit. 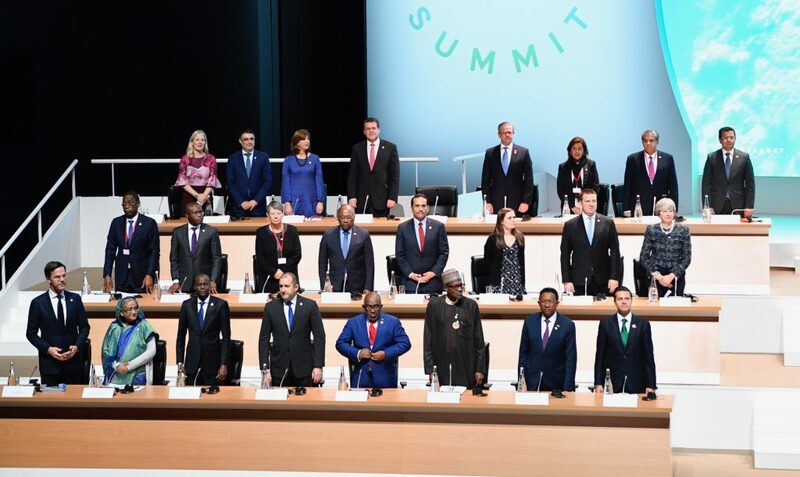 The One Planet Summit provided an opportunity for Mission Innovation members to showcase early success, launch new initiatives, and engage in collaborative discussions on the role that clean energy innovation is playing in achieving the goals of the Paris Agreement. Over the past two years, Mission Innovation members have committed in excess of US$ 31bn, mobilized over 3000 technical experts and innovators to identify the most critical clean energy innovation priorities to drive transformational change, and more than 20 new international partnerships in clean energy innovation have been launched. To support the work that is already underway by Mission Innovation members, Bill Gates, on behalf of the Breakthrough Energy Coalition, announced today, a set of partnerships with five Mission Innovation member countries (Canada, United Kingdom, France, Mexico, and the European Commission), representing a new approach to public-private collaboration that supports low carbon energy investments. Also at the Summit, Maroš Šefčovič, Commission Vice President for Energy Union, launched the European Innovation Council prize on Artificial Photosynthesis announced by Commissioner Carlos Moedas in October during the Web Summit in Lisbon. The prize is being addressed to the global research and innovation community to come up with the best breakthrough solution. It is an important part of the European Union contribution to the objectives of Mission Innovation, which aims to double public investment in clean energy innovation. In particular it will contribute to the Mission Innovation Challenge “Converting Sunlight into Storable Solar Fuels”, led by the European Commission and Germany. Launched at COP21 in Paris in November 2015, Mission Innovation members, collectively representing over 80% of the world’s total public financing of clean energy research and development, committed to significantly boosting their investments. Recognizing the need to accelerate the development of clean energy solutions, Mission Innovation has established the foundation for global collaboration and provided a platform for the private sector to participate in cutting-edge clean energy innovation. Mission Innovation members are now working to go further and faster that to maintain and amplify their innovation activities through collaborative working internationally and through productive partnerships between investors and governments. The Governments of Australia, Brazil, Canada, Chile, China, Denmark, Finland, France, Germany, India, Indonesia, Italy, Japan, Mexico, Netherlands, Norway, Republic of Korea, the Kingdom of Saudi Arabia, Sweden, the United Arab Emirates, the United Kingdom, the United States of America, and, the European Commission on behalf of the European Union, have come together to form Mission Innovation. Mission Innovation aims to accelerate the pace of clean energy innovation to achieve performance breakthroughs and cost reductions to provide widely affordable and reliable clean energy solutions that will revolutionize energy systems throughout the world over the next two decades and beyond.